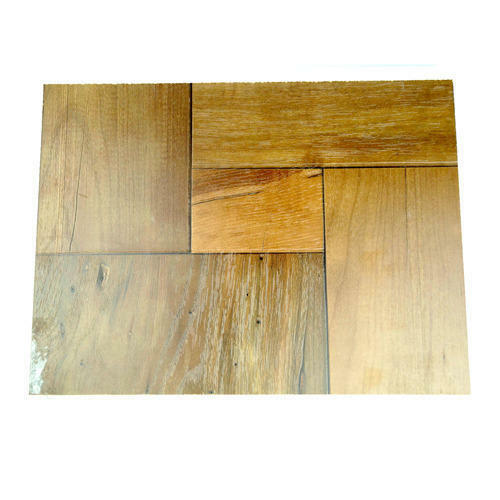 Matching up with the ever increasing requirements of the customers, our company is engaged in providing Maple Wooden Flooring. We, Murti Wood Floors Private Limited from 2010 are one of the famous manufacturers of an extensive array of Wood and Waterproof Flooring. Our offered range consists of best grade Wood Flooring, Waterproof Flooring, and Engineered Oak Flooring and much more. Using the best quality raw material, all offered wood and waterproof floorings are designed under the supervision of quality controllers in adherence to quality norms. All our products are known for lightweight, sturdiness, long service life, superior finishing, and durability. Our company ensures that these wood and waterproof floorings are timely delivered to our clients through this we have achieved a lot of success in the market. Also, our in-house manufacturing units are parted into highly advanced divisions for R&D, product testing, packaging and distribution activities that are headed by trained professionals. In adding to this, we offer these products range at very reasonable rates to our valued clients. Our mentor Mr. Upendra Chaudhary has guided us to be able to reach such heights. His experience helps us to cater to the demands of customers.